Honda takes GPS navigation to the next level, planning to add weather data and social networking to its upcoming factory-installed car navi systems. It connects to the Japanese InterNavi Premium Club, showing you what the weather is like wherever you are, and what it will be like on your proposed route. There's also a social networking service (SNS), where you can bookmark establishments such as restaurants and hotels, letting other subscribers know about your experiences there. 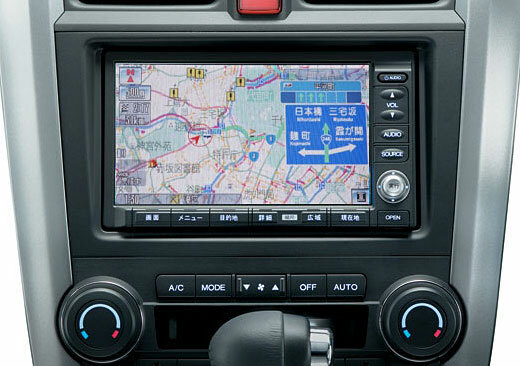 The system will be available in Japan first, but we're hoping this will be the next step for all GPS units. What a great idea, to have digital footprints from those who have gone before, letting you know where the good restaurants are, and also letting you know where the bad weather is.